Help us build a Mech Warfare Robot Arena! We're trying to build an appropriately armored robot arena to hold our very awesome robotic battles in. 129 backers pledged $7,012 to help bring this project to life. Countdown to Robogames/Mech Warfare 2012! 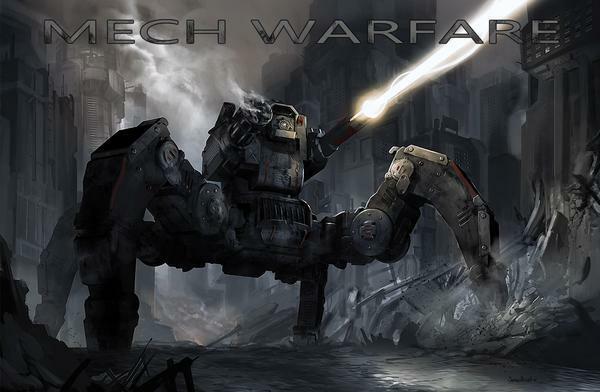 Preview of the Mech Warfare Poster! Hey guys, just wanted to share a preview of the Mech Warfare poster that backers who've donated $25 or more will be receiving. Update on the arena- 3D render! We've officially hit 100% funded! Thanks to everyone who is making this project a reality, the people involved are seriously indebted to your kindness. We're over 2/3 of the way there! Woo! Great news! We've reached 40% funding only 1 week into the Kickstarter! We've been lucky enough to get picked up by Engadget, Gizmodo, Slashgear and IEEE Spectrum (Botjunkie! ).